At the time, the success of Jurassic World wasn’t anticipated, at least not to that extent. However, hindsight is 20/20, and the smashing numbers from the long awaited fourth installment make all the sense in the world. 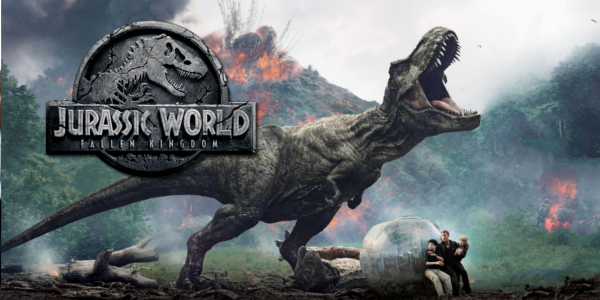 Take a charismatic lead actor, throw in some nostalgia for dinosaurs and a park that people want to see functioning, and then have everything go wrong is an equation that equates to a fun blockbuster in the truest sense of the word. Now, the sequel looks to capture that all again, but can it even get close or does it dawn a truly terrible turn for the franchise. The truth is, it’s somewhere in between. Where the first of this semi-rebooted series of films presented a somewhat new idea with a functioning park, the sequel returns to the tried and true method of human’s making remarkably dumb decisions regarding dinosaurs and removing them from their secluded island. Much of the plot relies on these idiotic choices to move forward, including a man knowingly opening a cage with a supposed hyper-intelligent creature in it so he can stroke his masculine ego. The best decision the film makes, however, is to completely destroy the island, to leave it behind like they should have done ages ago. It’s simply a shame that a better film couldn’t have been constructed around dinosaurs in the human world. Again having a charming lead can save just about any film from being a complete disaster, and while Jurassic World: Fallen Kingdom may not be that bad, it does get some help from the lead performance. Look, Chris Pratt could be charming reading the phone book and one look at his performance in Jurassic World: Fallen Kingdom could tell you that. The material is clearly not up to snuff, but Pratt manages to make it a watchable, almost enjoyable performance. Thankfully, Bryce Dallas Howard gets a better role here overall as well, though an improvement over her treatment in the first wasn’t a tall task. By abandoning the uptight businesswoman aspect of her character, Howard gets to start in a much better place and the performance reflects that. Unfortunately, that’s where any sort of praise for performances ends, as every newcomer is immensely worse than the last. Daniella Pineda is does not give a horrendous performance as Zia Rodriguez, but her character is so bare bones it’s hard to milk it for anything truly worthwhile. On the other hand, is Rafe Spall as the villain Eli Mills that is equal parts mustache twirling and completely inept, making the prospect of selling dinosaurs to the highest bidder a dull enterprise. His plan is flawed from the beginning and it doesn’t get any better from there. Finally, we have Justice Smith, as the comedy relief personified Franklin Webb. While the need for his skill on the initial mission is made clear, his incessant shrieks and unfunny jokes are not, and his presence during every scene conflicts with the tone almost every single time. Jurassic World: Fallen Kingdom benefits from how nearly impossible it is to have dinosaurs be boring. While certain scenarios have been done before on the island, by leaving it behind in favor of an estate presents new opportunities. In fact, the final act handles very much like a horror film, with the human created Indoraptor functioning as the newest slasher hiding around the corner. Director J.A. Bayona’s talent is certainly shining here, elevating a poor script into something at least engaging in spite of being quite stupid as a whole. Perhaps the the most disappointing thing about the film is the squandered talents of J.A. Bayona. 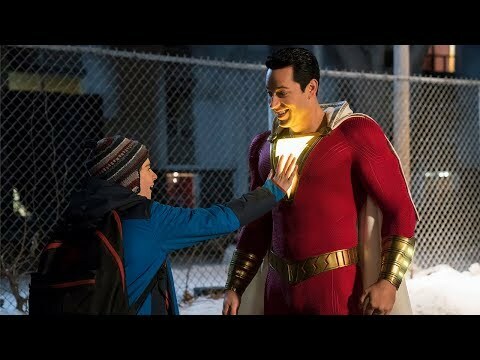 The director has clearly shown his talent in the past, and the world of this franchise seems suitable for his style and tone, yet he feels completely handcuffed to the abysmal writing. Overall, Jurassic World: Fallen Kingdom is a terribly disappointing blockbuster, but not one that’s completely devoid of fun or good ideas like some big films have been in year’s past. 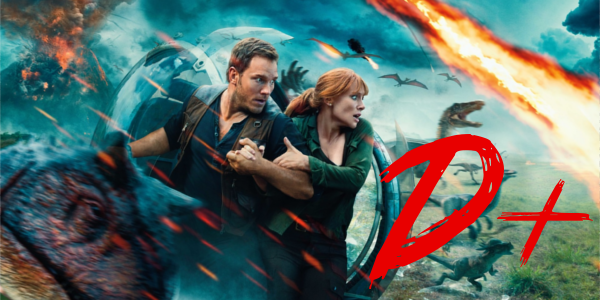 Watching dinosaurs hunt down idiotic humans will always be entertaining, and having a likable lead in Pratt doesn’t hurt either, but the script just drags it all down in the end. The talent of Bayona salvages some of it, lifting it from becoming the worst Jurassic film to just the third worst. The upcoming Jurassic World 3 has potential roads to traverse after the ending of this film without question, but it still doesn’t change the fact this franchise is one indecent away from extinction.